At Eaglestar, we embrace the culture that consistently provide better energy-related maritime services and operational excellence. We believe our people matter, and are our most valued asset as they are the ones who move the business. We welcome you to join both our sea and shore staff who share our shared vision, aspirations and commitment to delivering high quality shipmanagement services. Whilst continuously investing in our talents to ensure they deliver nothing but the best, our employees enjoy rewarding career opportunities, latest training programmes with enhanced facilities and competitive salary packages. With a variety of challenges that need to be solved with colleagues from around the world, you will have plenty of opportunities for professional growth. Join our team as we strive to fulfill our aspirations in moving energy to build a better world. 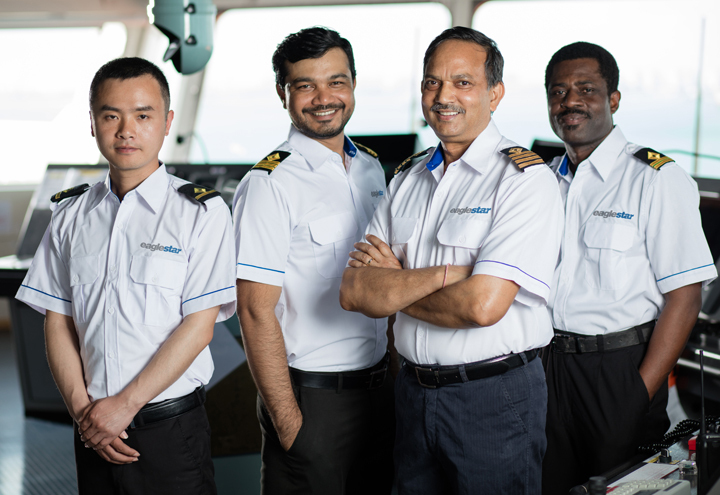 We welcome seafarers onboard our vessels who share our aspirations and will work enthusiastically as a team to deliver high quality services and solutions.